We are getting close to the end of the year festivities! 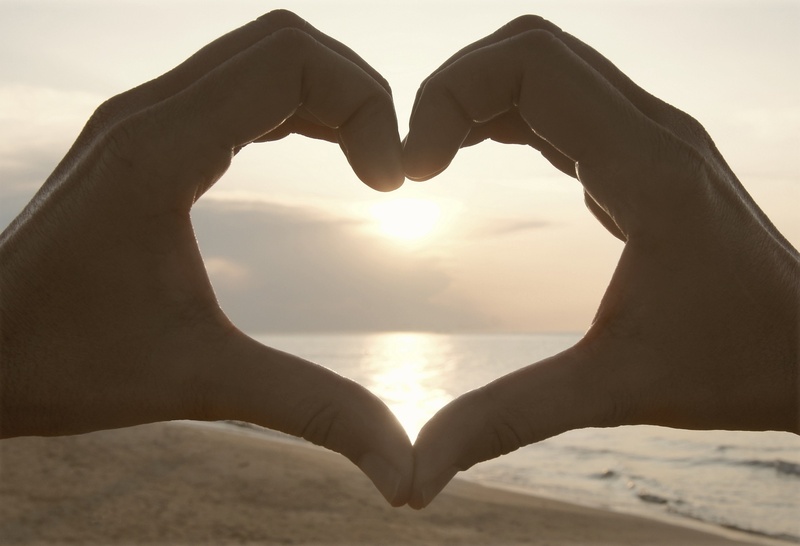 It’s that time of the year when donating comes as a natural gesture of warmth and solidarity. We would like to thank our many donors who are filling this special time of the year with joy and generousity! 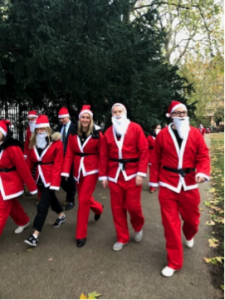 System1, the global marketing research and advertising company, who took part in ‘Making a Difference’ mile, dressed as Santa’s to raise money for the ESOMAR Foundation. 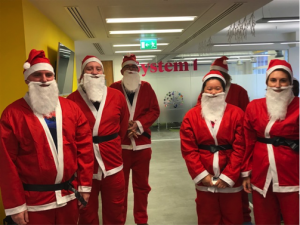 ENI Recruitment who is donating 1% of all their permanent placement billings from 1 November 2017 to 14 February 2018 to the ESOMAR Foundation raising so far €1,830 in just under 4 weeks. 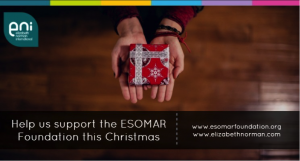 Thanks to 20 donors who donated fantastic prizes and the wonderful supporters of the ESOMAR Foundation who are buying tickets for the annual Christmas Charity Draw we have raised so far €1,440 to fund ESOMAR Foundation activities. You can buy tickets at €30 (each) until 15 December! Nicolin hopes to find employment!